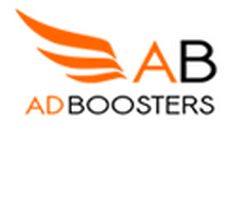 AdBoosters.com showed up from the union of some of the biggest advertising agencies in Europe. In a short time, they became one of the most demanded networks on the Internet. The qualities that endorse them are high quality offers and a big amount of exclusive offers they promote through their users. The access to the network is restricted, only users with a high quality level are allowed, who will enjoy high payouts. They have a powerful group of managers, who work closely with you, so you get the highest return on your campaigns. They also have a lot of additional contents and tutorials to help you optimize your offers. AdBoosters is one of the affiliate platforms best rated by users. They have global offers from all countries and lots of exclusive offers. Another great attraction of this fantastic network is the extra 5% you get from the income of each referral you get. You can make some extra money without affecting your referralâ€™s income.